The XD Mod.2 is now available in a 4” Service Model. 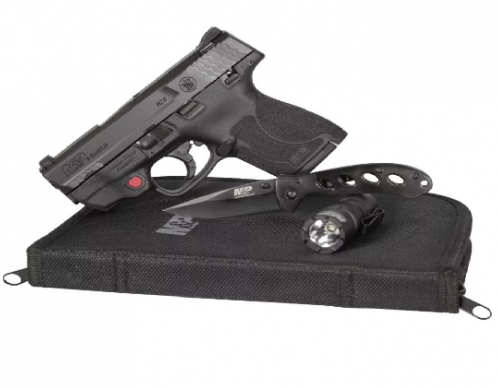 The 4” Service Model is a slim and ergonomic pistol that packs even more amazing capacity. Featuring the GripZone , the XD Mod.2 Service Model is ready for duty, a day at the range and even concealed carry. With high visibility low-profile sights and a slim-contour frame, the XD Mod.2 Service Model is a feature packed full sized double-stack pistol. At just two tenths of an inch wider than the industry’s slimmest single stack polymer frame pistols, the Mod.2 offers 12+1 rounds of .40SW. The noticeably slim profile and other features combine to make the Mod.2 Service Model a pistol that offers excellent ergonomics and serious firepower in a surprisingly concealable full sized handgun. Plus, you can choose between two attractive finishes – all black, or bi-tone. Like all XD s, the Mod.2 Service Model is loaded with safety features. The striker status indicator, loaded chamber indicator, grip-safety, internal firing pin block, and the Ultra Safety Assurance (USA) Action Trigger System all work to make the XD Mod. 2 Service Model a safe and easy to use pistol. 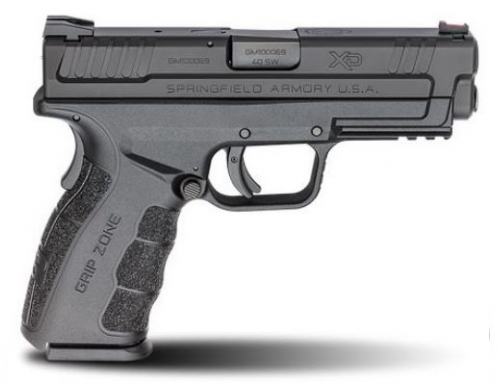 And of course, GripZone ergonomics set the XD Mod.2 apart from all others. Optimized contact between the human hand and the frame of the pistol keep the Mod.2 Service Model on target for round after round. When you pick up the XD Mod.2 4” Service Model, you might find that a trip to the range is in your immediate future. After that, you’ll probably find that you’ve got a new favorite pistol.